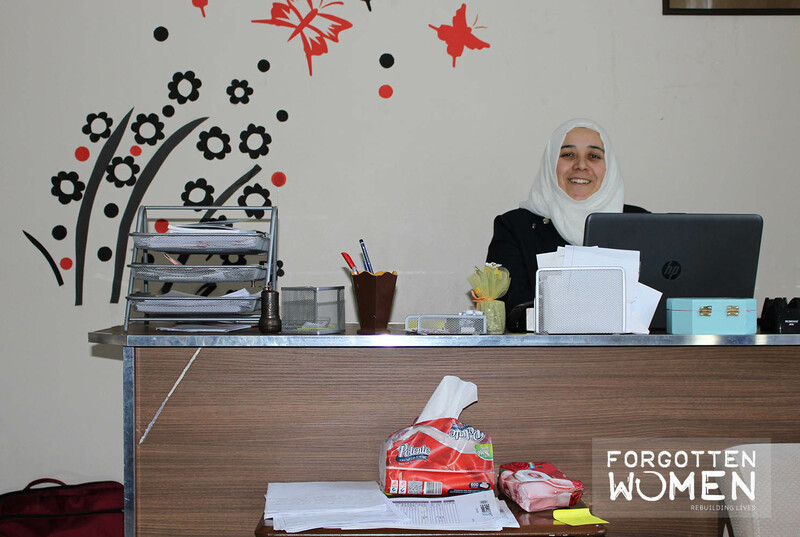 After landing in Hatay the Forgotten Women team immediately drove to Reyhanli to visit several orphanages and textile shops run by Syrian women. The first orphanage we visited was run by Manar Muhammad. She wore a white scarf and drank tea from a Wonder Woman mug, she gestured at us to sit on the couches in her office. Although I didn’t understand her when she spoke in Arabic, she exuded kindness and strength. I told the translator to tell her that her Wonder Woman mug suited her very much because she was one! Right away she offered me the mug. She said it was Syrian custom to offer your guest the items that they like! That was our first experience of generous Syrian culture and the incredible Syrian women. Next we visited a textile shop that was managed by a Syrian woman and only employed women who were widowed because of the Syrian Civil War. The clothing they created was good quality, and could easily be sold, instead they sent it back to Syria to clothe those in need. The second I walked in I felt welcomed, the women were incredibly friendly. They tried to show me how to use the sewing machines, and proudly showed me all the clothes they had created. We spoke to each other, me in English, and them in Arabic, even though we couldn’t really understand each other I felt a connection between myself and each of them. When we had to leave, we went around and hugged every woman, Adiba asked me to stay and I wanted to! They were all so thankful for this job, and really it was an amazing sight to see; a woman running a business for women supporting women. We could use a lot more of those in the world! The last house we visited housed widowed women and their children. The mothers cooked, cleaned, taught, and took care of the children in order to live there for free. When we arrived the children performed songs in three different languages for us! Afterwards we had some time to spend with the children, who, despite everything they had been through, were so joyful. One girl in particular climbed on the table and jumped into my arms and just laughed. That was the end of our first day in Reyhanli. 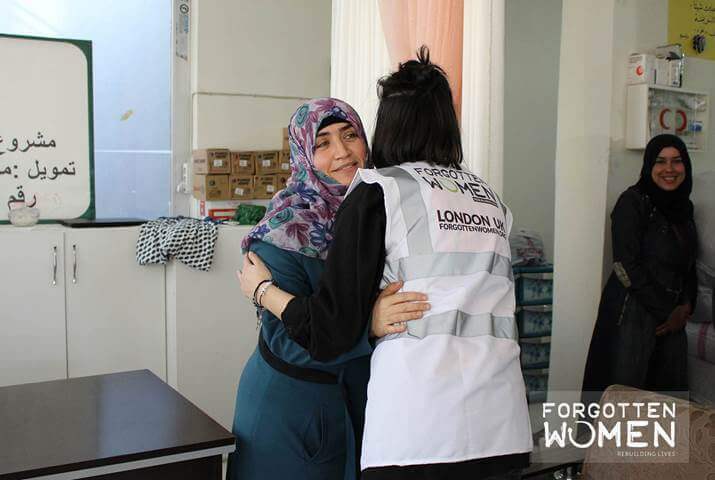 We met so many women and children who had been displaced from their homes, seen war and death, and lost family members, however they seemed hopeful. Hopeful that they would one day return home, but in the meantime they all did their part in helping those who were suffering, by sending back clothes, giving free shelter, offering jobs. 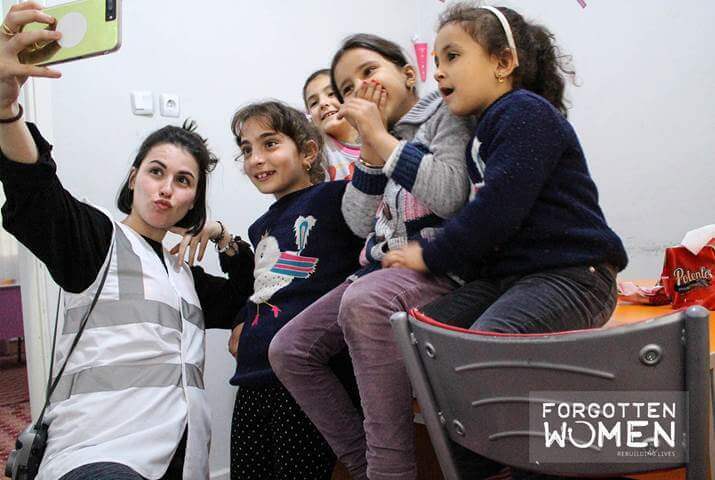 The Syrian women we met were truly “pulling themselves up by their bootstraps”, and helping others so they could too.